With a privileged location overlooking Crab Cay and the turquoise sea, the house blends a luxury-style living with a home away from home feeling. Mixing mosaic artwork, rich textures, colorful furniture, bohemian hammocks and handcrafted details, the house invites you to relax, and celebrate life at its fullest. Monasterio del Viento is home to those in pursuit of a well-deserved break under the sun, a romantic getaway, a trip with friends, delicious food and delightful opulence. You will be in the best hands with the chief hostess, Cristina Concha, a photographer and passionate traveler and her partner, Rodrigo Perry, who works his magic in the kitchen. The hotel’s gastronomy is characterised by the importance given to the raw material, the interpretation as a brand of innovation and creativity, based on the culinary traditions of the region and its recipes. 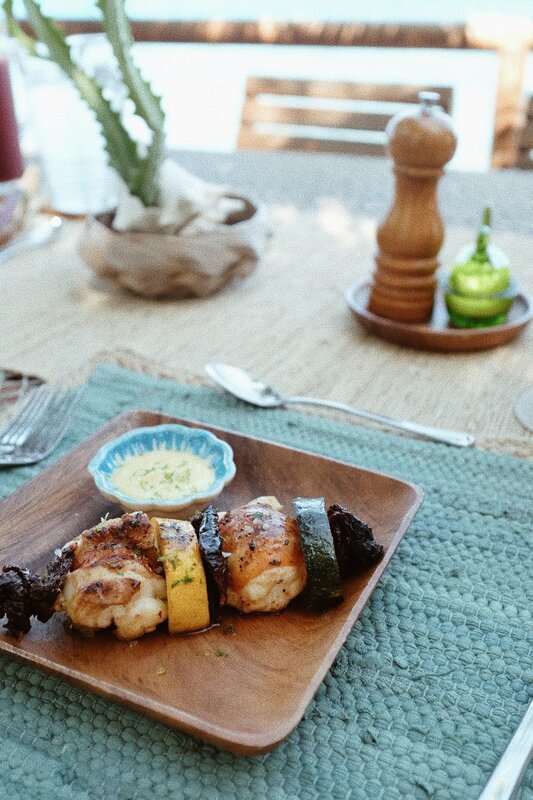 Rodrigo combines his modern culinary expertise with traditional creole cuisine, making every dish at Monasterio del Viento unique and unforgettable. The guests of Monasterio del Viento can count with a varied list of activities that include horse back riding at the beach, massages, private concerts, cooking classes, ecological walks, diving, kayaking... They also do yoga retreats and private events. Here, life is calm and easy. Take pleasure in the barefoot luxury, caribbean living, whilst enjoying the attention to detail, excellent service and the unique gastronomy that will leave you in awe. A life changing experience.